Colourscope Coloured Bleaching Cream is an asset to any salon. 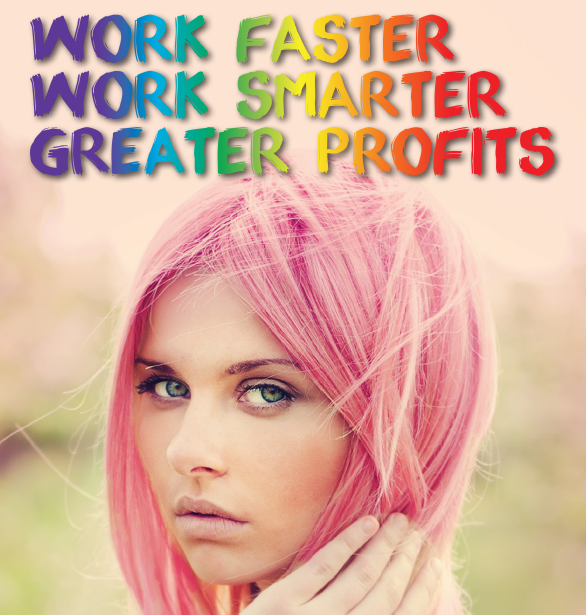 Add vibrancy and excitement to your work and introduce Colourscope to your clients. It's the faster, smarter way to get vibrant colours! Colourscope is a one application coloured bleaching cream, created as an alternative to the coloured bleaching powders that can cause irritation to the scalp. Its special formulation is soft and creamy, so easy to use, requiring no special techniques. No lumpy formulas and no colour spotting, just a perfectly smooth mixture instantly. Colourscope does not swell or dry and the action is progressive in time, so as soon as the desired colour result is achieved, simply rinse...giving you the exact colour you want. The whole process is significantly reduces processing time, avoiding unnecessary irritation and stress on the skin and hair. Colourscope Coloured Bleaching Cream delivers intense results on natural and coloured hair with or without pre-lightening. Made in Italy, Colourscope provides incredible lifting power. Choose the shade of Colourscope Coloured Bleaching Cream according to the desired result, and consider the original colour of the hair before the colour service. This colouring method gives results that were not possible before, in a short time and without damaging hair. The mixing ratio is l:l.
Mix 40g of Colourscope + 40g of developer in a non-metallic bowl. The strength of the developer depends on the original colour and how many levels you wish to lift. The lift and deposit action of Colourscope is progressive in time, so it is necessary to check the processing until the desired colour result is achieved. 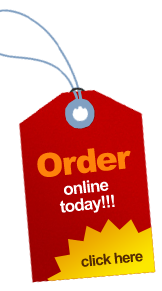 Processing time is approximately 15 to 45 minutes depending on hair texture and desired colour result. Colourscope Coloured Bleaching Cream is most effective on base levels of 5 and above. Use 30 vol for extra lift and brighter results for shade levels of 5 to 7. Use 20 vol for shade levels of 7 to 9. Use 10 vol on light blonde or pre-lightened shade levels of 9 to 10. 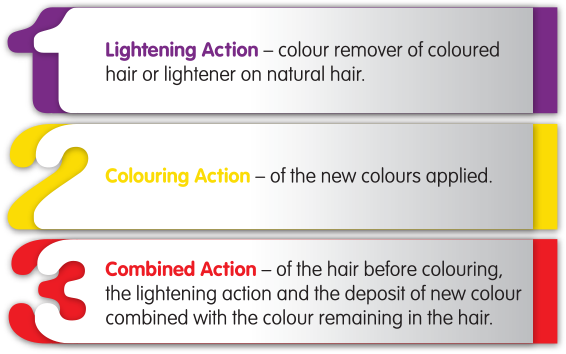 Remember, Colourscope is a bleach and can damage the hair the same way any bleach can. If you are not sure, perform a test strand prior to the colour service. What hair will Colourscope work on? Colourscope is a cream bleach and although it is quite unique, it still needs to be treated as a bleach. It will lift natural and artificial pigments, but results may vary depending on artificial colour build up and hair porosity for levels 5 or darker. Can I use Colourscope for full head on scalp application? Yes, you can do an on scalp application, but like any full on scalp bleach, your application needs to be even. As with any bleach service we recommend that up to 20 Volume can be used on the scalp. If a brighter/lighter result is needed then it's best to pre-lighten first. Remember if you are not confident with using a bleach on a full head scalp application, then we wouldn't recommend you use Colourscope bleaching Cream. It's best to stick to foiling and highlighting techniques. 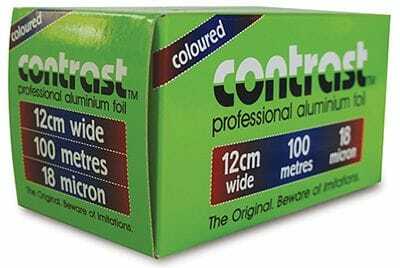 Note: some colours may stain, so always apply a barrier cream around the hairline before application. What peroxides can I use? As this is a bleach product, you must treat it like one. You can use any cream peroxide. 20 vol is the best option. 10 vol and 20 vol are preferred for foiling. 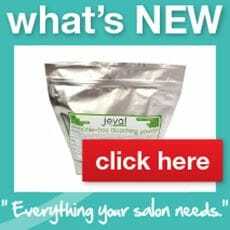 As this product is gentler than bleach, you don't get the tingling on the scalp that is associated with most bleaches. Do I have to pre-lighten to get vibrancy with Colourscope? No. However, if working on colour levels of 5 or darker where there is a considerable build-up of artificial pigment. it may take more than one application to achieve the vibrancy and in some instances minor pre-lightening is recommended. Remembering at all times to be aware of your peroxide selection and of the quality of the hair. How long does the vibrancy last? Although there is no definite timeframe on the vibrancy, it will often depend on how porous the hair is, as well as the type of shampoo used and how often you shampoo the hair. 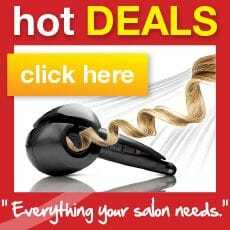 We recommend the use of a colour refreshing shampoo to help maintain the vibrancy of the colour.